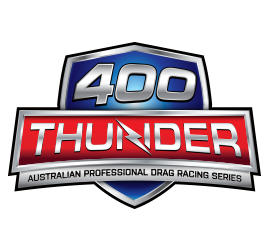 Willowbank Raceway will host the 400 Thunder Santo’s Super 3 event over the Easter weekend and it will have an international flavor with “Cory Mac” returning to drive a Lee Beard tuned Rapisarda Autosport International Top Fuel entry. Having won at Willowbank’s last Winternationals, the largest Championship drag racing event outside of north America, and following it up with a win at the Sydney Dragway’s inaugural 400 Thunder event; “the Nationals” 5 months later, McClenathan and Beard will be hot favourites to take out this weekend’s Top Fuel bracket and the prestigious Louie Rapisarda Trophy. This trophy honours the late son Louie, of the event sponsor and RAI team principle Santo Rapisarda, who passed away in a Top Fuel accident in 1990. The Drag racing legend with more than 20 years experience is super excited to be coming back down under to Willowbank. “I really love racing in Australia for a few reasons; everyone treats me so well when I come over there and it’s 1/4 mile racing which is close to my heart”. Even with over 500 NHRA round victories and in excess of 34 NHRA event titles, including two US Nationals Cory states “To win the Winternationals was awesome, as was to win at the Nationals. I think having won those does help my confidence heading into Easter. I guess my biggest thing is that I know for Damien Harris and Wayne Newby (team mates) it is a points game in chasing the Championship where I just come in and mess the whole points system up”. Never far from the front of the minds of all involved at RAI, Louie’s memory is immortalized with a much desired trophy. With the trophy currently in the hands of RAI thanks to team driver Allan “Dobbo” Dobson winning the 2014 event, and the 2015 event being rained out Cory is serious about retaining the trophy for RAI and the Rapisarda family. 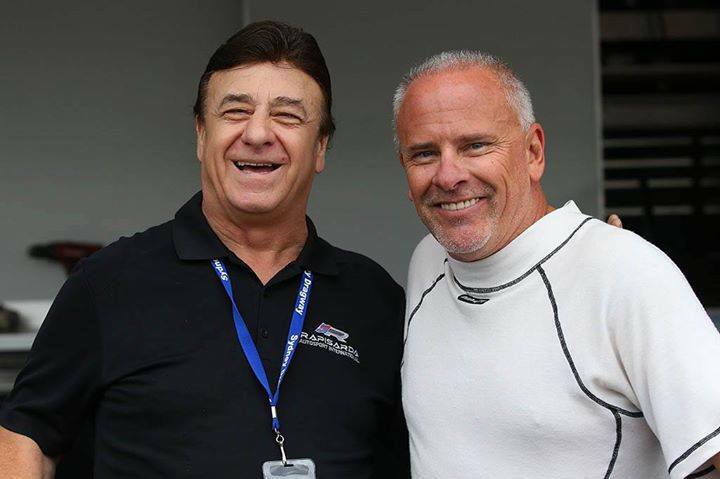 “I love driving for Santo and (his sons) Santo Jnr and Santino and the whole gang there too, and it is the icing on the cake when I can come out and race with Lee Beard – he knows what to expect from me and I know what to expect from him,” said McClenathan, who will be supported by long-time personal sponsor Nordic Boats as well as team sponsors Santo’s Cranes, Atlantic Oil, Uplift Cranes and Titan Cranes on his latest Aussie adventure. “The boys have been running really well lately so that is something for Lee and I to look at, they have a really good race car and have done well for themselves lately. We are going to be shooting for those low ‘4.50s’ at 329 miles per hour, and you know I would love to even be the first guy into the ‘4.40s’ as well – but I think everyone wants to do that!” he laughed. The Santo’s Super 3 Extreme Drag Race Event, presented by Uplift Cranes and Titan Cranes, is a two-day Easter spectacular and the latest event in the 400 Thunder Professional Drag Racing Series. Across Good Friday and Easter Saturday, McClenathan and his fellow Top Fuel racers will be joined by competitors in the BlackAdda Top Bike, Titan Cranes Pro Alcohol and Just Traffic Solutions Pro Stock categories in chasing 400 Thunder championship points, while Pro Radial, Factory Xtreme, Pro Outlaw and DYO racers will also take to the track. The main show kicks off from 5.00pm each day, and spectator tickets are available online at willowbankraceway.com.au – starting at just $35.00 for adults and $30.00 for students/concession card holders with ID for one-day tickets, while children aged 13 and under gain free admission. A special two-day admission pass is also on offer, at just $60.00 for adults and $50.00 for students and concession card holders. 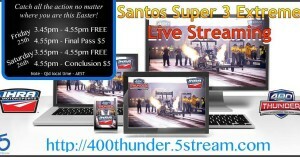 The Santo’s Super 3 event forms just part of the non-stop racing action that happens year round at Willowbank Raceway. With everything from Test ‘n’ Tunes where you can race your own car or bike, to the largest championship drag racing event held outside of North America – the Winternationals – there is something for everyone in the action-packed 2016 calendar.